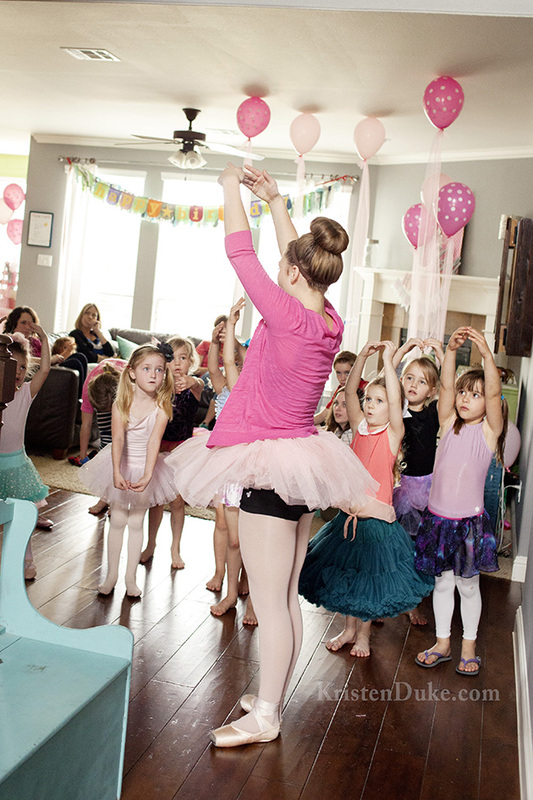 A Ballerina Birthday Party is the perfect even for your little ones who love to dance. 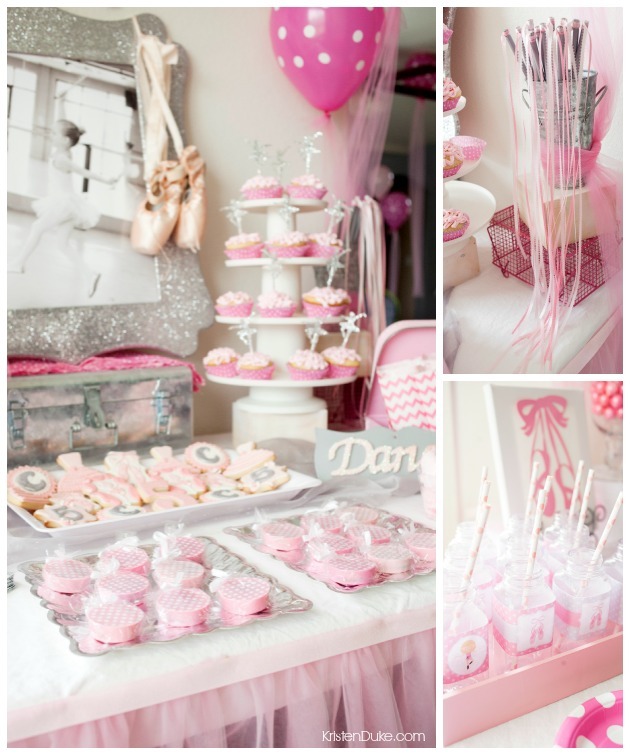 My daughter loved Angelina Ballerina, and twirled non-stop, so this was the perfect party theme for her! 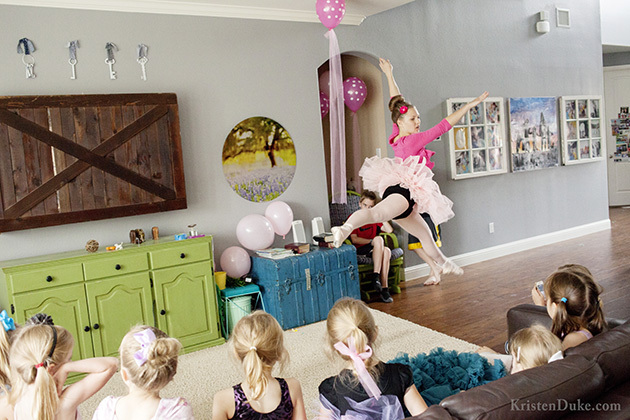 This cute girl loves to dance and twirl, and we decided 2 months ago that we would go for the tulle and pink, and I added a little silver (slightly to her chagrin) to her theme. I collected all sorts of fun stuff, making sure to keep the receipts to what I got at our local stores. Hobby Lobby had a great selection of party supplies by color, which I LOVED! 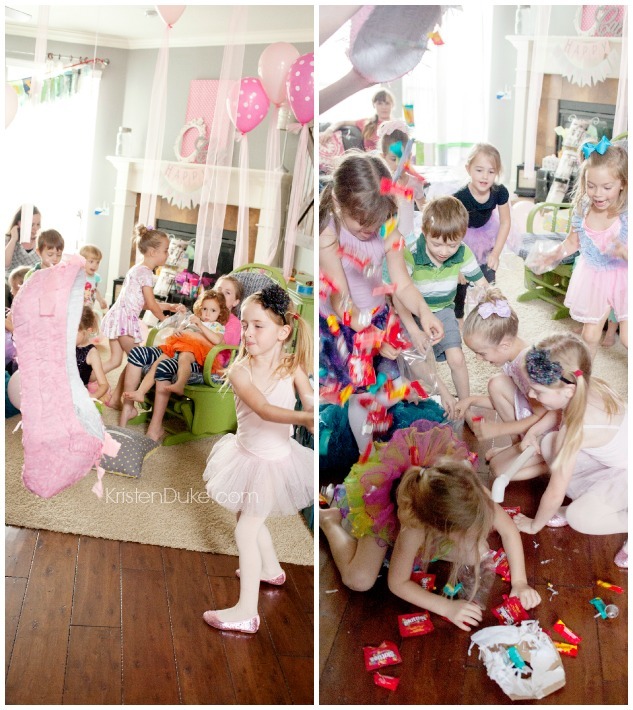 Here is a little snippet of our FUN! All of the containers and plates I had at home. I’ve been collecting over the years and parties, and I was so delighted to dig into my supplies and find everything I needed! 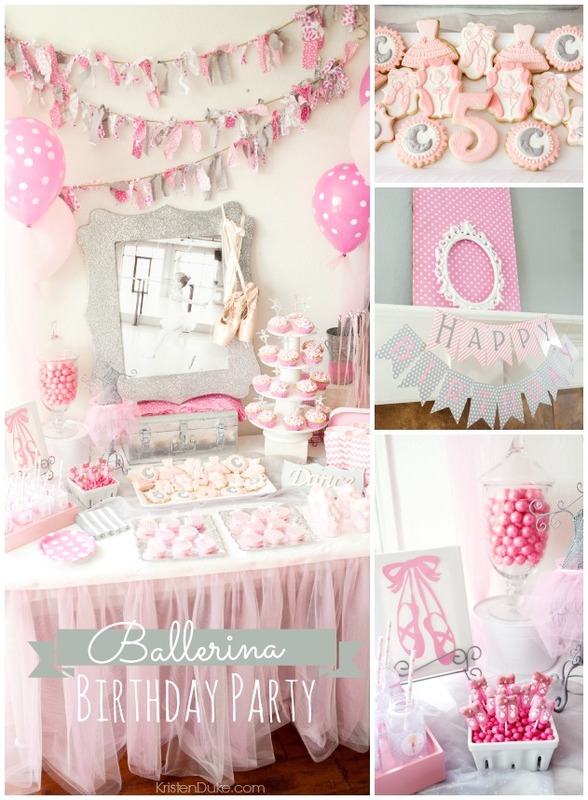 I just purchased the treats, some paper supplies and lot of tulle. Lets start with the treats. I actually was thinking I didn’t want to do a lot of treats this year. But then I couldn’t think of any pink or gray fruits and veggies, so I just had to go back to the standard treats. Gotta stick with the colors, right? 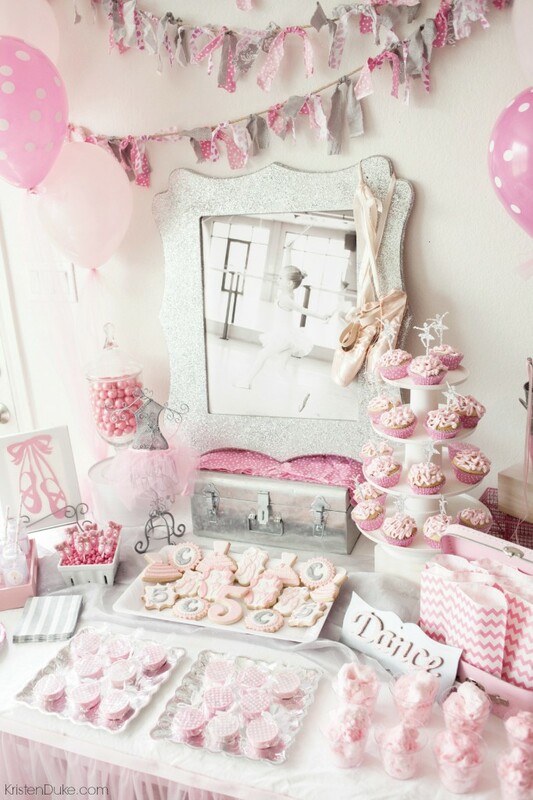 I’m a sucker for cute food, it’s kinda a must for me at parties. 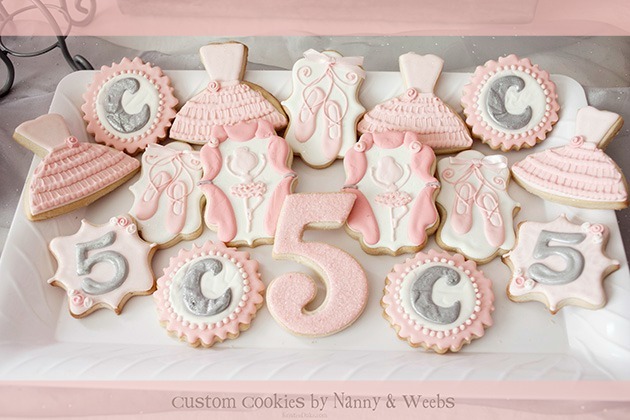 One of the treat highlights of the Ballerina Birthday Party were the custom made hand-decorated cookies from Nanny & Weebs. They are based out of OHIO, but they ship nationally! (Their packaging was pretty spectacular, too, none were broken). They were individually wrapped for freshness, too. Aren’t these the most adorable little pieces of artwork??? Someone at the party mentioned they didn’t want to eat them, they were so cute. I told the Nanny & Weebs sisters what I wanted in design, and I am very pleased with their artistic creations. And guess what? SOOOO delicious! Nice dense sugar cookie with the slightest hint of lemon. Even my husband raved, and he is a quiet man about stuff like that. I put a few in my freezer to save for later (hidden so my kids won’t eat them). Follow them on Facebook, and keep up with all of their other creations! 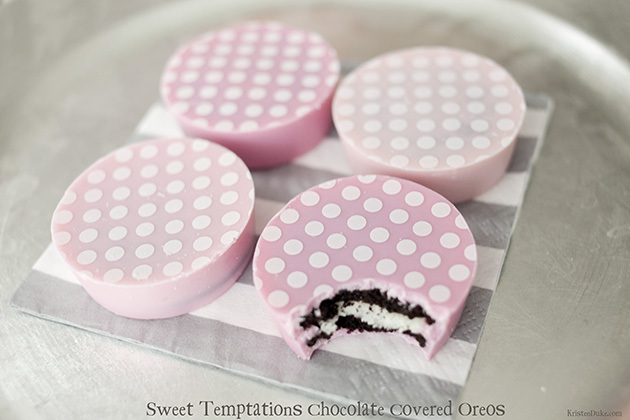 Another super tasty treat that shipped to me from New York area for the Ballerina Birthday Party, are these Polka Dot Chocolate Covered Oreos from Sweet Temptations. They ship chocolate covered oreos, cake pops, and other confections WORLDWIDE! I’m just amazed at how beautiful, smooth, and simple these oreos look. They also came carefully packed, and individually wrapped (as seen on my table display). Some of the girls ate them at the part, but I forgot to hand them out. I wasn’t too sad about that when there were plenty enough for me to ration out throughout my week. Follow their Facebook page to view all of their creations. I made the cupcakes. And, well, decorating cupcakes is not my forte. I found a can of Wilton Ready-to-decorate icing in a can, and I went for it. I kinda like the texture. I used just one can for all of these. 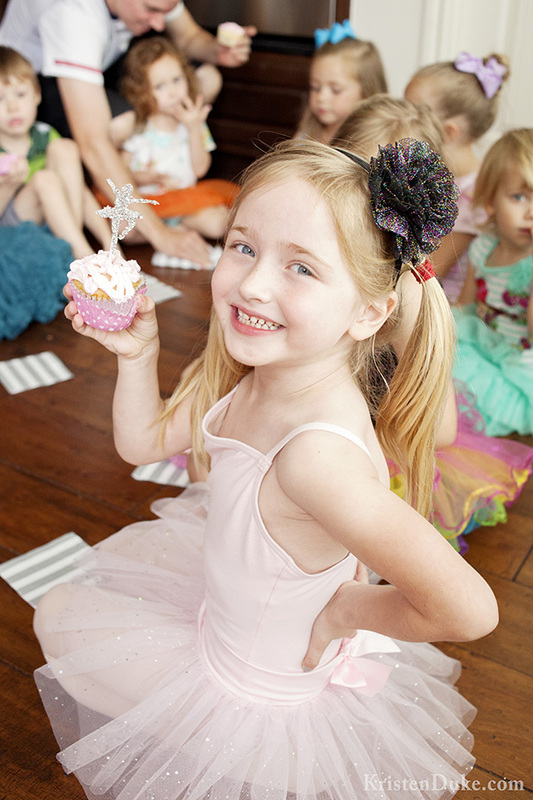 The ballerina cupcake topper, I downloaded the design in the Silhouette studio, and then doused them with silver glitter with mod podge on top to seal it in. I then hot glued them to a sucker stick. I’m HAPPY with how they turned out! 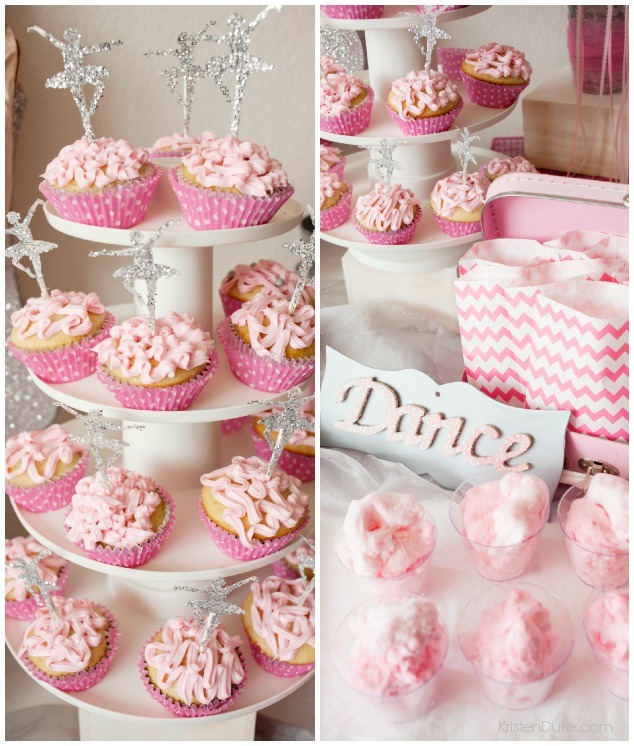 Cotton candy is in the clear cups on the right, next to the gift bags. Inside the gift bag, I gave each girl a silver ballerina necklace I found at Birthday Express (for $1.50 each!) 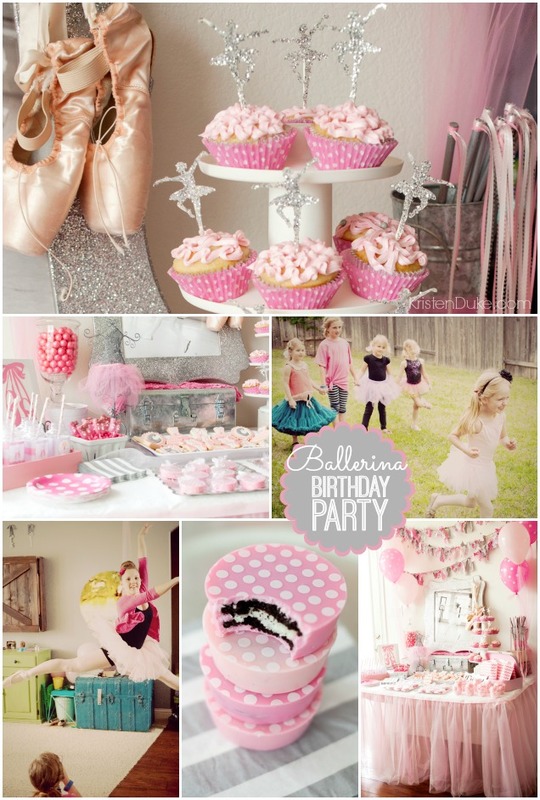 and ballerina frosted suckers I found at Oriental Trading online. I also gave each girl a wand made out of a dowel and ribbon. 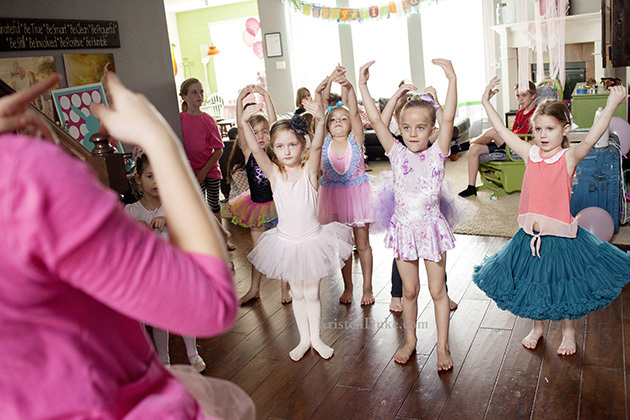 Half of the fun at the Ballerina Birthday Party was having a REAL ballerina teach the girls some movies. 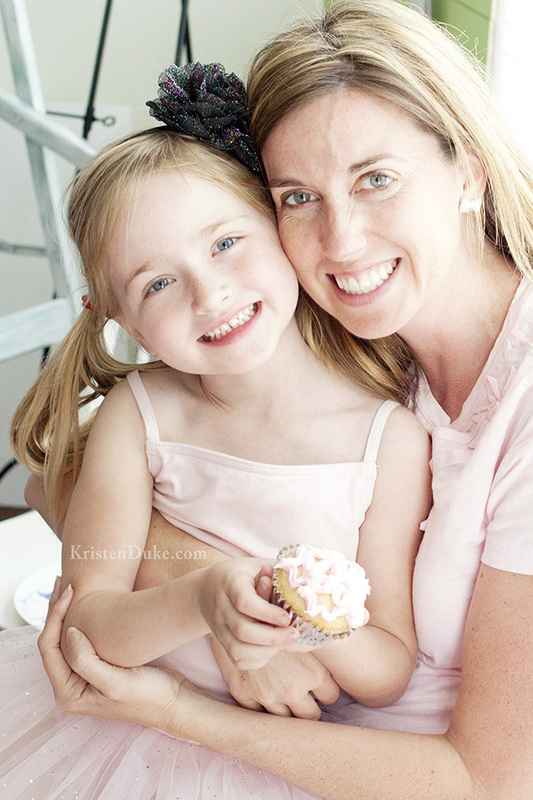 I’ve known this cute girl since she was two, and she has gracefully grown into a sweet young lady. I get to teach her at church now because she just turned 14! 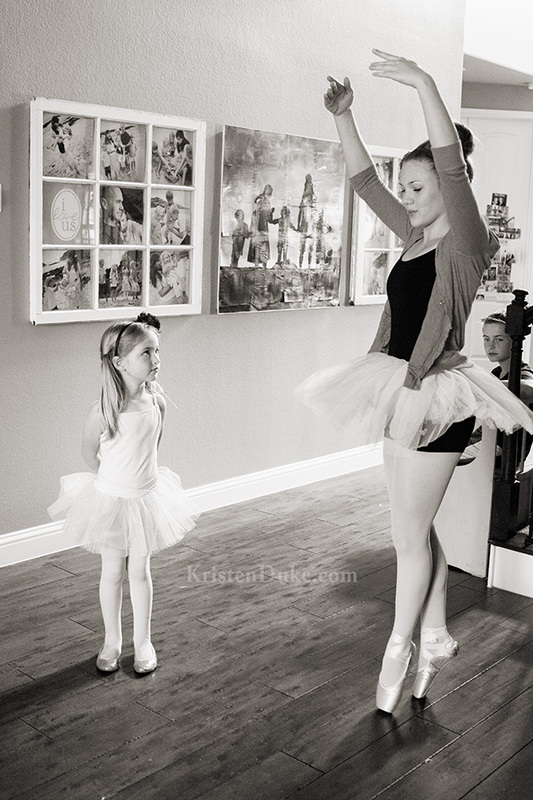 (I teach 14 and 15 year old girls each Sunday). Look at the eyes on these girls, as they watch her every move. 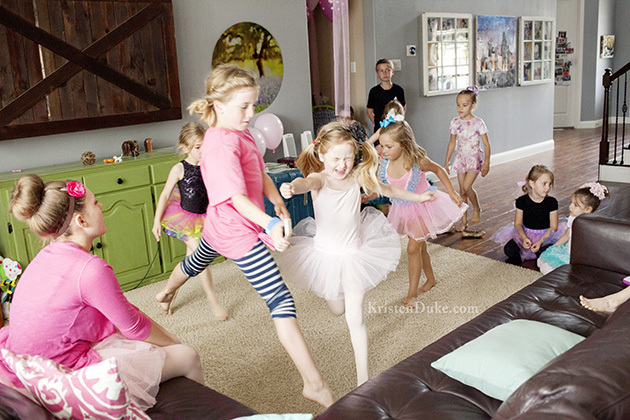 She even taught them some french ballet terms, I think they are repeating after her. I sure love my FIVE year old.